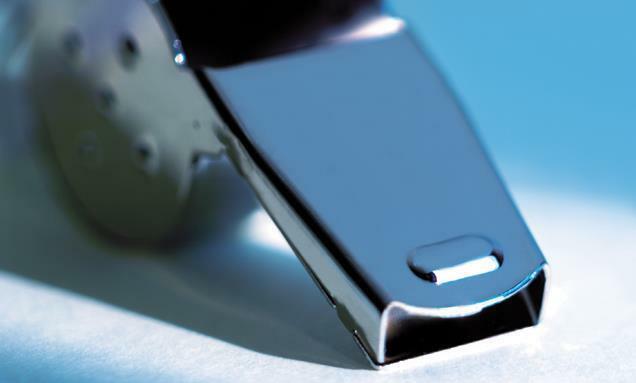 A whistleblower was dismissed just days after raising concerns about conflicts of interest in a clinical commissioning group, HSJ can reveal. A report obtained by HSJ said a manager at Barnet CCG contacted the chief operating officer last year to raise concerns about a “conflict of interest impacting on the CCG’s commissioning of primary care services”. The report by consultancy firm Verita said the manager should have been protected by the CCG’s whistleblowing policy and public interest disclosure legislation. Senior staff at the CCG said they were not aware he was making a whistleblowing complaint and his interim contract was terminated because of sickness absence. However, the report concluded: “[His] contract was terminated days after he raised a conflict of interest concern. It is impossible to be sure if [it] was terminated because he raised a concern about conflict of interest. “However, we know that if the CCG had recognised he was making a protected disclosure he should have been protected from victimisation. Verita’s report, dated September 2015, said that on 15 May last year the whistleblower sent a letter raising his concerns to the chief operating officer Regina Shakespeare and three other directors. The manager, who worked in primary care commissioning, met with director of quality and governance Vivienne Stimpson on 22 May. Ms Stimpson later told investigators that the manager had not used the term “whistleblowing” and that the aim of the meeting was to offer him support. He told investigators that at the meeting on 22 May Ms Stimpson proposed to pursue only an “informal” review of his allegations. In her interview with Verita, Ms Stimpson said she believed someone in her team had already sent the manager a copy of the CCG’s whistleblowing policy. The report said because of this “she had offered to send him other relevant policies”. He asked for time to think and it was agreed that by 28 May he would decide what to do. The report said that up until this point he “had made no reference to whistleblowing, but only conflicts of interest”. The whistleblower told Verita he asked the interim governance manager for the whistleblowing policy on 27 May and was directed to the CCG’s website. He said after reading it he realised it was “completely applicable to my circumstances”. Verita’s report said: “Upon realising he had not [earlier] been directed to the appropriate policy he ‘actually felt physically sick, and also could not concentrate on work, so I handed over urgent items to my team and [went] home sick’. The next morning, before he could turn on his computer, Ms Shakespeare called him into her office and terminated his contract with immediate effect. The whistleblower later contacted a lay member of the board, in line with whistleblowing policy, and raised his concerns. Ms Shakespeare told the investigators that the manager’s dismissal had nothing to do with the concerns he raised. The Verita reported quotes her telling them: “I am entirely and completely clear that [the dismissed manager] hadn’t presented himself as a whistleblower. “I’d made arrangements, with the advice of my director, on which policy and procedure to use. [The whistleblower] had begun to go along with that by having this meeting with [the director of governance]. “So when you say [he made] a whistleblowing allegation three days previously, prove it”. Ms Shakespeare said no one told her the manager had made whistleblowing allegations and Verita quotes her telling them “for the record it would not have changed my position”. The report does not say how much time the whistleblower had taken off work. CCG chair Debbie Frost also said she was unaware of the whistleblowing allegations and if she had been she would not have sanctioned the dismissal. The report quotes Dr Frost telling investigators: “He was already going to people asking about whistleblowing, but as I understand it, because had I heard that he was doing that, I don’t think I would have said ‘he needs to go’ together with the governing body. “We wouldn’t have done that because we’re not stupid… it would be completely ridiculous for us to have done that or for [the chief operating officer] to have done that if someone is making whistleblowing allegations”. A CCG spokeswoman said Ms Shakespeare had made a “planned departure” from the organisation in December, after being appointed on a fixed term contract in December 2014. Yes, they claim to have a meeting to support him but sack him instead!! Treatment of HR v WB’s – amazing payout for befriending ‘boss’!!! yet again we here more lies by management – there appears to be too many people involved in the CCG case …. and not one of them know what was really going on, with the exception of the WB being dismissed. when will someone have the guts to get these managers sacked for their corruption?